Human Factors/HMI incorporates psychology, engineering, computer science, medicine, and other disciplines to create tools and systems that maximize usability and satisfaction. Clemson's automotive engineering program is unique because it houses a psychologist, computer scientist, and business expert integrated with the engineering program. 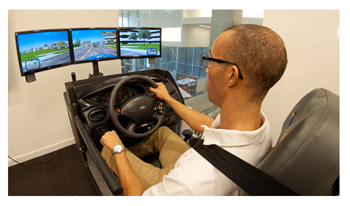 By integrating human factors, HMI, and business principles into the curriculum, students gain an appreciation for the importance of these needs to vehicle design and development.